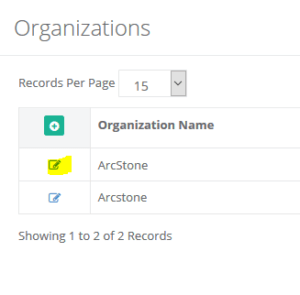 AMO has made a recent update to allow Custom Fields to be added to an Individual & Organizations records, this is a very powerful feature that can work in many different ways to make AMO be able to have custom data for your members. We’ll be using number of cars and number of employees for examples in the below guide. 3. 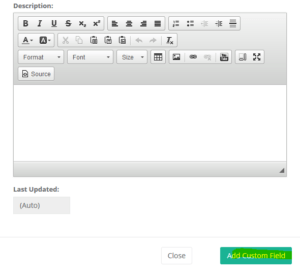 A screen will now appear with a number of options to select from, enter a Label for this custom field. 4. 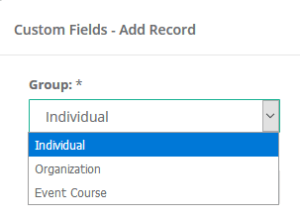 Select if this is for an Individual, Organization or Event Course. Allow Organization Edit: Please contact Support help@amohq.com to have this enabled. Member Application Application Require: Select this option to have this as a required field for the Membership Application. 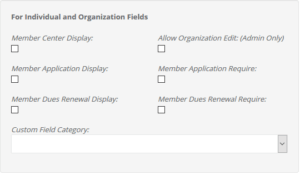 Member Dues Renewal Display: Select this to have this custom field appear on the Dues Renewal. 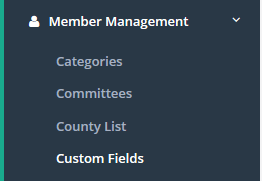 Member Dues Renewal Require: Select this to have this custom field required on the Dues Renewal. 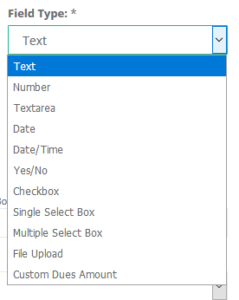 List of Answers: Enter options to be selected if the Field Type is set to Single Select, Multiple Select Box. 11. 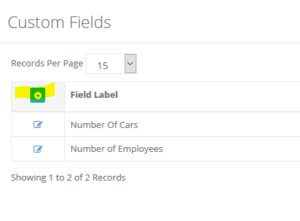 You’ll now see the Custom Fields setup in this area, you can also adjust the values at this screen.